Google Reader till now was one of the most “unusable” applications from Google’s stable. Google which re-defined usability with applications like GMail did not extend the same usability aspects to Google Reader. 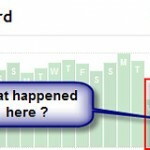 So what is new with Google Reader ? Anyone who has used the old user interface will immediately find the difference in the layout. The first thing I did was to delete all the subscriptions within the Reader and import the OPML file. To my surprise, GReader maintained the Folder structure while importing the OPML file. You will love using Reader once you start using the shortcuts. You can easily move between the posts in a feed and also between the different subscriptions. List View – This mode shows the list of post titles and for a big feed and you can press “o” to expand the post. 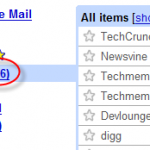 Star – You can star the post (as in GMail) and access the starred post via “Starred Items” link. However this option is kind of redundant since there is another way of “starring” the post. E-Mail – Mail the post. Add Tags – I don’t remember seeing this option in the old UI, but this is really a very useful feature. Additionally GReader has added few default Feed Bundles. Click on “Browse” in the sidebar to access the same. If any of your friends are using Blogger/MySpace etc you can easily subscribe to those feeds by inputting the user name. And if you don’t like this new UI, you can go always go back to the old interface. I am not sure why would anyone do this ! What more changes I want to see ? I am not sure why Google is not having the Reader within GMail. I would definitely like a GReader component (like Google Talk) within GMail. I can read mails and feeds at one place. And as in the case of Google Talk, many people would start using Reader once it is made part of GMail. It might be little difficult to handle the keyboard shortcuts of both GMail and Google Reader, but its not impossible ! Another option I would like to see is the “Filter” posts option via which I can filter out the RSS feed posts of my interest. This is similar to the “Watches” concept in FeedDemon. FeedDemon – Worth Buying ? 1) To set the time interval to look for updated posts for every feed. If these are already there and I have missed them, let me know. Google Reader is good with these new set of features but I love a desktop feedreader more than the online ones. I want google to release a desktop feed reader. Vasu, Yeah Online reader is much convenient ! Also I checked up on the 2 missing things. There is no option to set the interval, and the refresh option is there once you click on a feed, they should have a refresh icon next to each folder and feed. Hopefully Google is reading this post and hopefully they will consider this. Shiv, yeah if google brings a desktop reader which syncs with online reader, it will be great ! 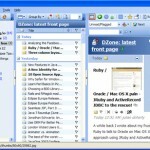 Short Description : Kedoya is an online community based RSS reader . Kedoya provides all the features that will let you browse news or blogs in a very efficient and enjoyable manner. * Recommend stories to other users.